During our unit on Amazing Animals, we studied more than animals! 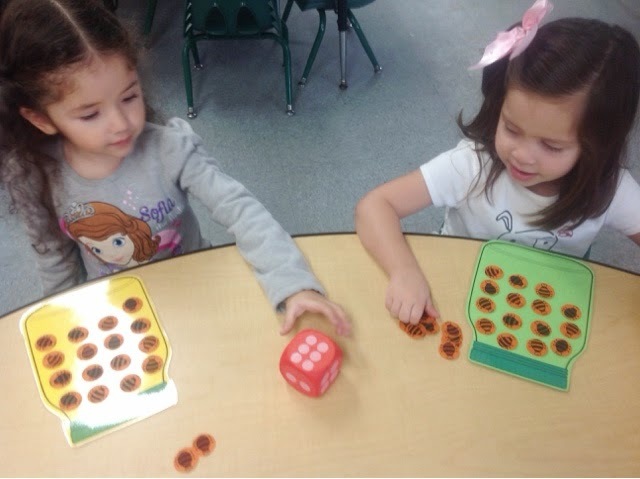 I was able to incorporate language and literacy, as well math on each lesson. 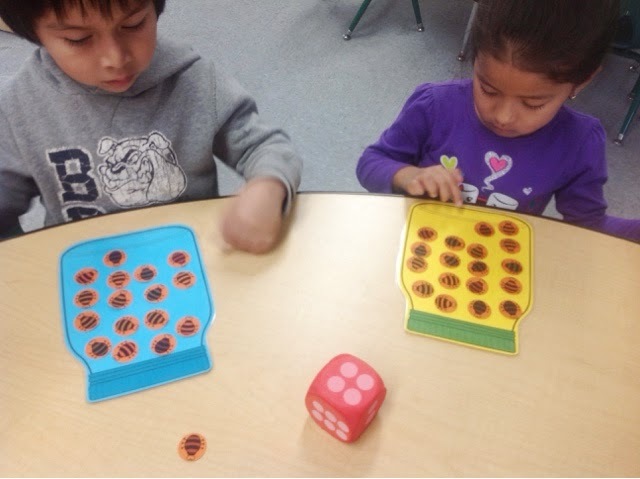 One area that my kiddos needed practice with was on one-to-one correspondence. 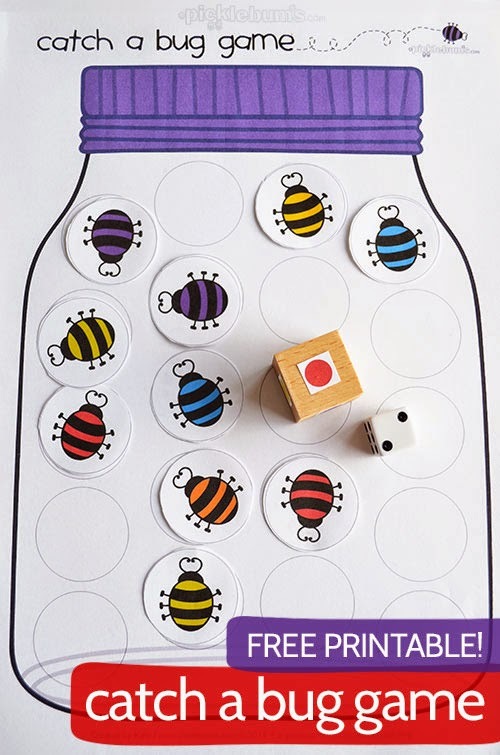 As I am researching activities to develop my lesson plan I came across this wonderful FREE printable activity from Picke Bums. A little change I did on the game was to use dice. 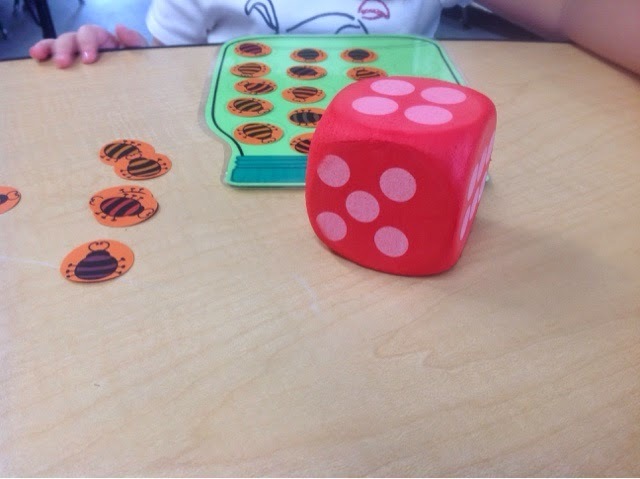 The students took turns rolling the dice and "catching" the right amount of bugs into their jars. 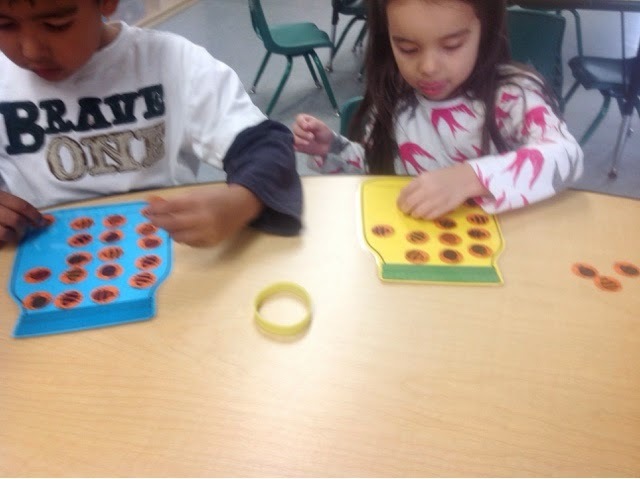 With this activity we practice subtilizing, counting, turn taking, and our main goal: one-to-one correspondence. Don't you love the "concentration faces" they make?! I LOVE it! Catch a bug, and keep learning!